Home » Food for Thriving » Making Monday Sweeter with an Organicgirl Giveaway! 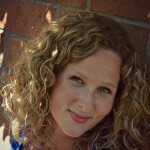 It all started when I was invited to spend an afternoon tasting the new Organicgirl salads and dressings in Seattle. Naturally, I immediately texted sister Sally and asked her if she’d like to come. We both arranged for Grandma’s to watch our kids and we headed out for an afternoon on the town. Boy am I glad I brought her! Not only did we have a blast, but I would’ve never been able to parallel park if she wasn’t there…..We should’ve made a video. Clearly, I’m from a small town. Anyway…. The tasting experience was unlike anything I’d ever done before. With a few other sweet ladies, we sat in Bar Sue during closed hours, in the Capitol Hill neighborhood. 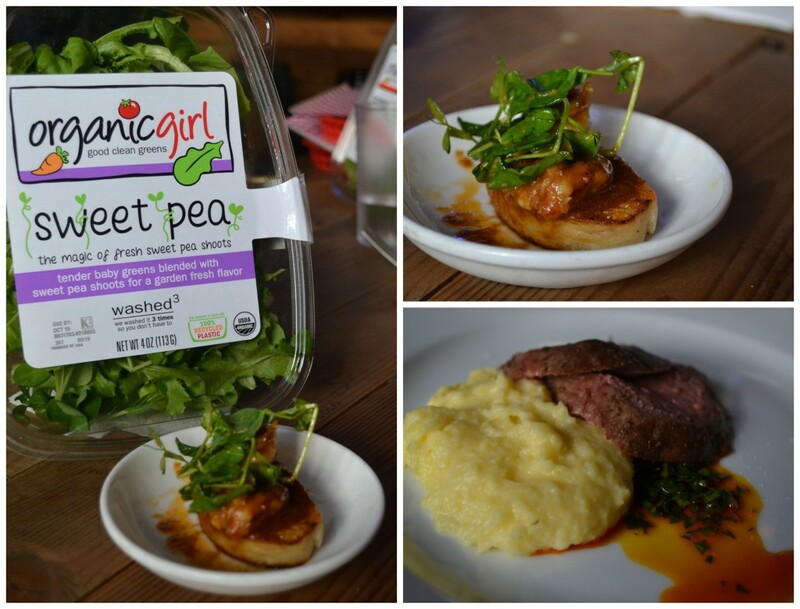 Chef Zach Chambers used the new Organicgirl salads and dressings to create a delicious menu for us. His food was full of flavor and the way he showcased these new products was so inspiring. You’d be so proud of me, I even tried duck for the first time (I’m not a very adventurous eater normally). When we left, we brought home a huge goodie bag of Organicgirl salads and dressings with us and I’ve been in love with them ever since. 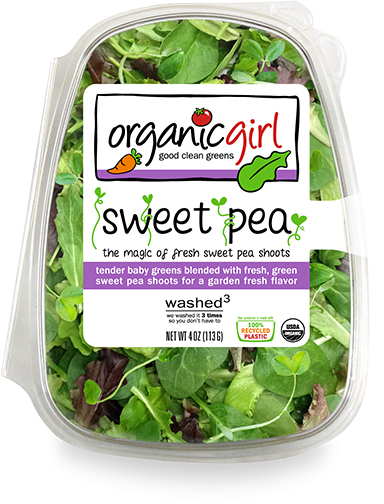 The new Sweet Pea salad is a delicious mix of sweet pea shoots, baby green romaine, tango, baby green oakleaf, baby greenleaf, baby green bok choy and lolla rosa. I love how fresh and light it tastes. 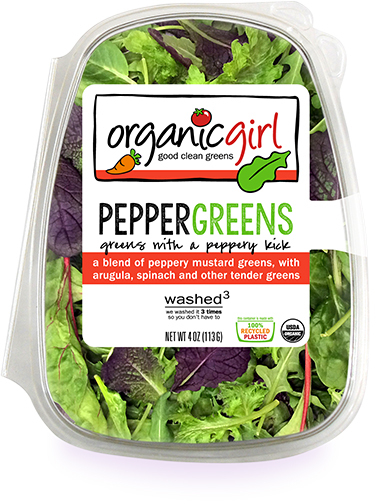 The Pepper Greens are a mix of arugula, baby green mustard, baby red mustard, cress, baby spinach, baby green bok choy, baby green chard, baby red chard, baby red bok choy, mizuna, and komatsuna. This salad is my favorite, since I love the little touch of spice it adds to my plate. 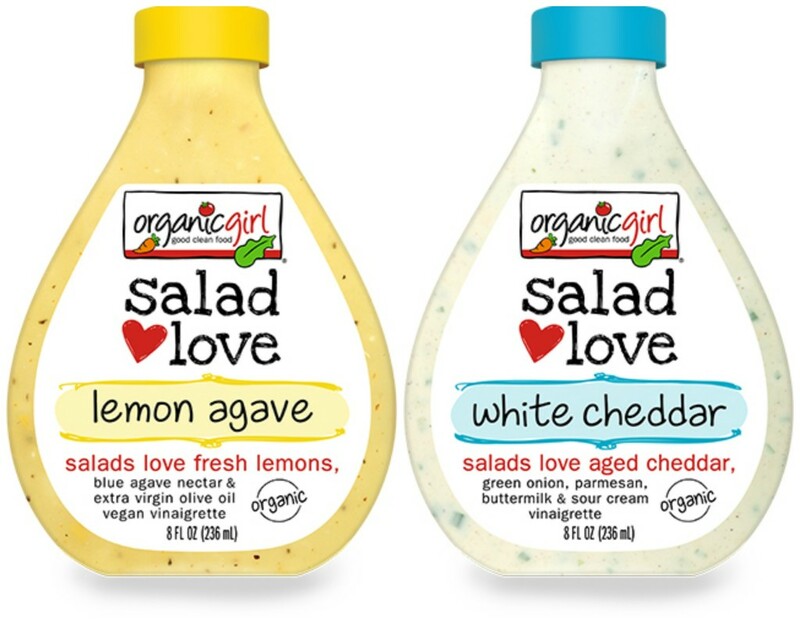 The salad dressings I’ve been using with these salads are the new Lemon Agave and the new White Cheddar. I love them both and I’ve even used the Lemon Agave as a marinade for grilled chicken. So good and easy. 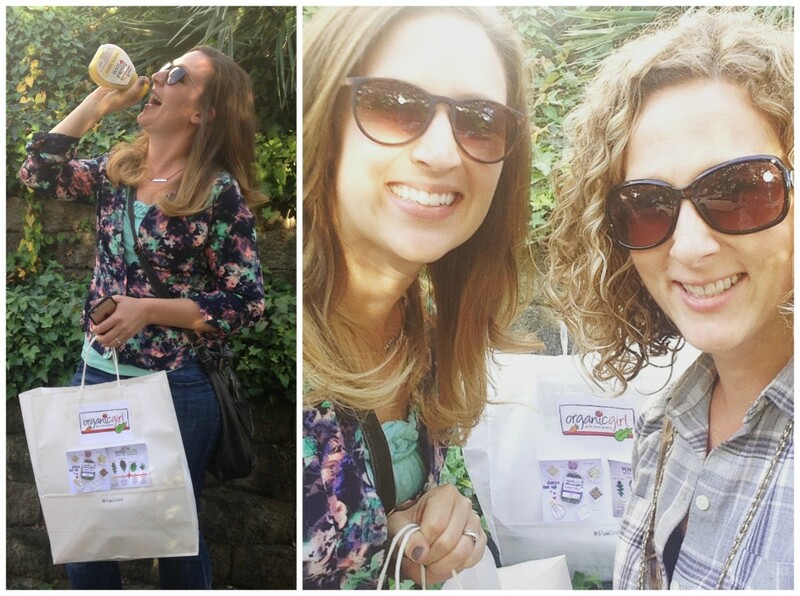 And so….I thought we could make Monday a bit sweeter with a fun Organicgirl giveaway. I know you all want to incorporate more food for thriving in your life and salads like these make it easy. They are ready to go, organic, healthy and they truly taste good. To enter to win coupons for 2 Free Salads and 1 Free Dressing, enter below. Three winners will be chosen! I absolutely love to eat salad! My favorite way is a with tomatoes, fresh mozzarella balls, and a basil vinegarette. I also love to add grilled chicken to it! Yum. Ahh, I love salad! Sounds so weird to say, but it’s true! What a fun event–looks like you two had a blast! So many ways to make a good salad, but our go-to at home is spinach leaves with walnuts, dried cranberries & balsamic vinegarette. Yum. Spinach with walnuts is a favorite of mine as well!